The Bad Show is coming to The Hideout on July 16! 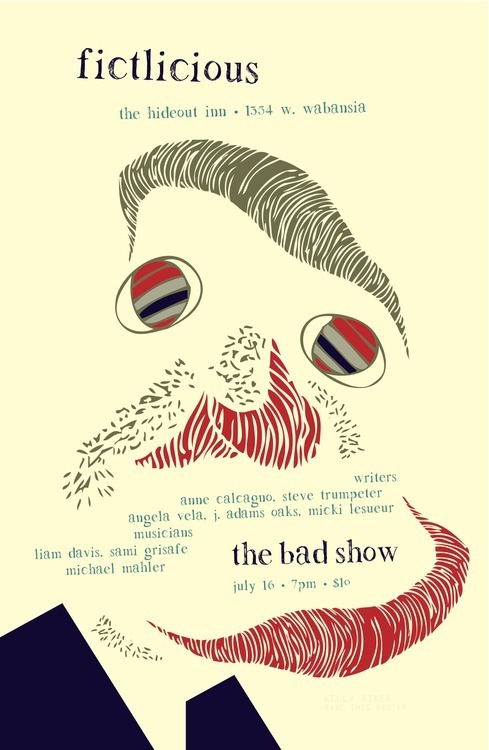 I’ll be reading a brand new short story at The Hideout on July 16 at 7pm for the Fictlicious “Bad” show. This is my favorite literary event in town, and I’m glad to be a part of it. Stories, music and alcohol. Three great tastes that taste great together. It’s all good with Anne Calcagno, Angela Vela, Steve Trumpeter, J. Adams Oaks, Micki LeSueur, Liam Davis, Sammi Grisafe, and Michael Mahler.